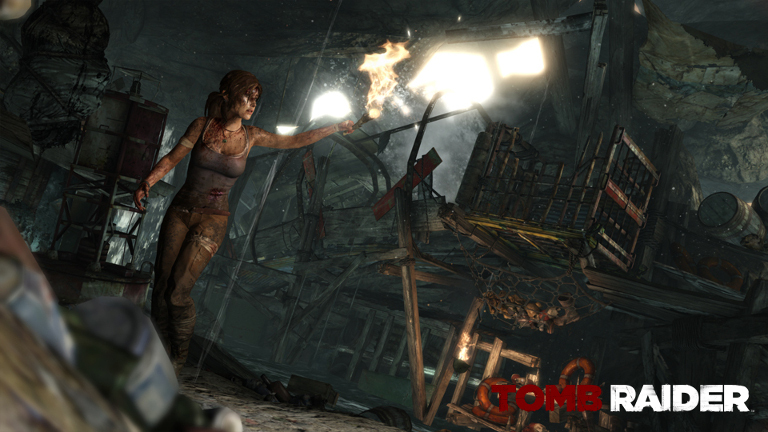 The 2013 Tomb Raider reboot is one of the Black Friday sale's standouts, as it follows Lara Croft, the titular raider of tombs, in an excellent series reboot. It takes several pages out of the PlayStation-exclusive Uncharted's playbook to fantastic effect, with triumphant moments when you conquer difficult challenge tombs and grisly deaths for Lara when you fail. Super Meat Boy is a challenging and wholly addictive platformer that'll push you to the brink of insanity, and then watch you plummet to the ground. It's still very fun, though. Don't be afraid. Contrast is a fun, yet flawed puzzle/platforming game that lets you move between a 2D shadow universe and a 3D fantasy world all inspired by film noir elements. It was originally an early PlayStation 4 title, and later found its way to the Nvidia Shield. Meanwhile, arcade titles like Cluster Truck, Q*bert Rebooted, Pix the Cat, and Ultimate Chicken Horse are just here to help you kill a few hours. And as we mentioned, Doom 3: BFG Edition for 50% off its regular price puts it at $5, which makes it another excellent deal. If you haven't played Doom 3 by now, shame on you, and get on it. There's really no excuse to have missed out on the carnage in 2018. Rip and tear!